Today’s Autumn Budget 2017, the second this year, is good news for large companies claiming research and development (R&D) tax incentives. Here we review what the Chancellor said, and what this means for UK businesses. The government announced it would increase the RDEC rate from 11%, to 12% – effective from 1 January 2018. This increase in generosity is good news for large companies – as well as the SMEs who also use the RDEC R&D tax credit scheme. 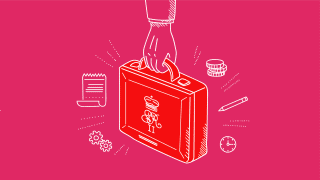 The government has already assessed the impact of R&D tax credits on R&D investment in the UK. It found that for every £1 spent on R&D tax relief, up to £2.35 in R&D spend is stimulated. This means that the increase in the RDEC rate should also be good news for the UK economy. You can read more about this in our analysis of HMRC’s R&D tax credit statistics 2017. This RDEC rate increase is the second since the scheme was introduced in April 2013. Large companies should be particularly enthusiastic about it, considering they have actually already benefited from an increase in generosity when the new 19% corporation tax rate came into effect on 1 April 2017. How much your R&D tax credit claim is worth depends on the amount of money you’ve spent on qualifying R&D activities. Today’s rate announcement will increase the value of R&D tax credits claimed by large companies. The following table shows approximately what R&D tax relief could be worth to a large business based on the new RDEC R&D tax credit rate as of 1 January 2018. The rate change for RDEC means that the net benefit of a claim increases to 9.7p for every £1 of qualifying R&D spend. This is lower than the headline rate of 12% because the RDEC you receive is taxable income; therefore you will pay corporation tax on it. Currently, corporation tax is 19% – once you take this into account, your cash benefit is 9.7%. The example calculation below explains this in more detail. The following graph shows the increase in the RDEC rate since its introduction in April 2013 based on the average qualifying expenditure for a large company (£8,440,633). Originally introduced at 10%, it was increased first to 11% from 1 April 2015 and now to 12% from 1 January 2018. However, the generosity of the scheme has also been affected by the falling corporation tax rate. In April 2013, the main rate of corporation tax was 23%; it’s now 19% and will fall again to 17% from April 2020. As less tax is due on the gross RDEC amount, the net benefit to claimants increases. We commented when HMRC released their R&D tax credit statistics 2017 that the uptake of RDEC amongst SMEs has seen huge increases in the past few years. 1,780 SMEs claimed under either the large company scheme or RDEC in the year to 31 March 2016. These SMEs are those who have carried out grant-funded projects, or who work as subcontractors to large firms. This growing pool of businesses will also benefit from the RDEC rate increase, however many of them will also be claiming under the SME R&D tax credit scheme. Why no rate increase for SMEs? We’ve already said that today’s announcement is good news for companies using the RDEC R&D tax credit scheme. That said, here at ForrestBrown, we’re actually wondering where the second half of the Chancellor’s announcement is. The government seems to have forgotten SMEs. Given that in his speech, the Chancellor said that the 5.5 million small businesses in the UK give the economy ‘extraordinary vibrancy and resilience’ – it seems a strange omission. Arguably, it is these businesses that are creating the government’s ‘technological revolution’, which is why we’ve been left feeling a little puzzled. The decrease in corporation tax from 20% to 19% that came into effect as of 1 April 2017 has actually decreased the generosity of the SME R&D tax credit scheme – the opposite of what it has done for RDEC. This is because of the differences in the way the R&D tax credit is calculated for each scheme. For this reason, we believe that, as a minimum, the SME R&D enhancement rate needs to be increased from 130% to 137%. This would mean its current level of generosity would be maintained. But if the government wanted to increase the scheme’s generosity in line with RDEC, it would need to increase the rate to 150%. 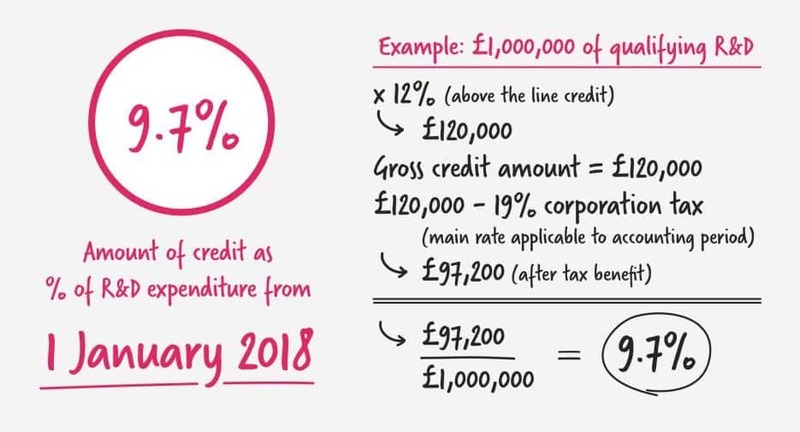 Based on HMRC’s most recent statistics on take-up, 83% of all R&D tax credit claims are made using the SME scheme; however, this translates to only around half of the cost of support claimed. This is because, despite the fact that the SME rate is higher (up to 33%), the average amount of qualifying R&D expenditure for large companies is far higher. What this means is that a rate increase for SMEs would affect a far greater number of businesses, for a comparable cost to the government of the RDEC increase. We know from our own research the positive impact an R&D tax credit claim can have on an SME. Whilst this is also true for large business, we believe the government should offer UK businesses a level playing field. It could be that the government is saving this good news for the publication of its Industrial Strategy white paper which is due in the next few days. But in the meantime, we can’t help feeling that the needs of large companies have been prioritized over and above those of SMEs.